Born and raised in a small community in northern Utah, his schooling in electrical engineering at Utah State was interrupted by World War II. Trained as a weather forecaster in the U.S. Army Air Corps. (M.S., California Institute of Technology), he served in the South Atlantic theater. Following an LDS mission to the Cook Islands, he changed to the field of archaeology and anthropology (M.A., archaeology, BYU, 1952). After field work in southern Mexico, he attended UCLA where he received the Ph.D. in (social) anthropology in 1961, while still maintaining an interest in Mesoamerican archaeology. He initiated the academic program in anthropology at BYU when he joined the faculty there in 1958 and headed it for a total of 14 years. One of his major interests at that time was ethnographic studies of modern Mormon populations. With his interest turned to modern day problems in applied anthropology, he joined General Research Corporation in Santa Barbara, Cal., from 1964 as their chief social scientist. In 1969 he returned to Provo where he founded Bonneville Research, a subsidiary of General Research (doing social science studies). He returned to the BYU faculty two years later. 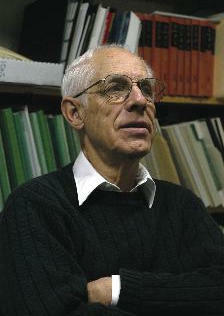 A health problem in 1985 led him to retire the next year from BYU and from his position as chair of the Anthropology Department. Subsequently he devoted much attention to his early interest, Mesoamerican anthropology, with emphasis on documenting evidences of diffusion between the Old World and Mesoamerica and of the relationship of Book of Mormon peoples to Mesoamerican civilization. Among his significant publications are An Ancient American Setting for the Book of Mormon (1985), World Trade and Biological Exchange before 1492 (with Carl L. Johannessen, 2009), and Mormon's Codex (2012). He and his wife Kathryn reared nine children. After her death in 1991 he married Helen Christianson, mother of nine. They live in Provo, Utah.